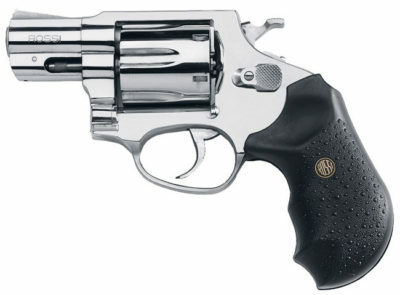 Rossi has reached a settlement in a class action lawsuit concerning “Class Revolvers” that may, under unique conditions, fire when dropped. As part of a new “Enhanced Warranty,” owners of Class Revolvers may send them in for inspection, cleaning, and, if necessary, repair at no cost. Revolvers covered by the warranty include models R35102, R35202, R85104, R97206, R97104, R46202, and R46102 chambered in .38 Special and .357 Magnum made between Jan. 1, 2005 and Dec. 31, 2017. 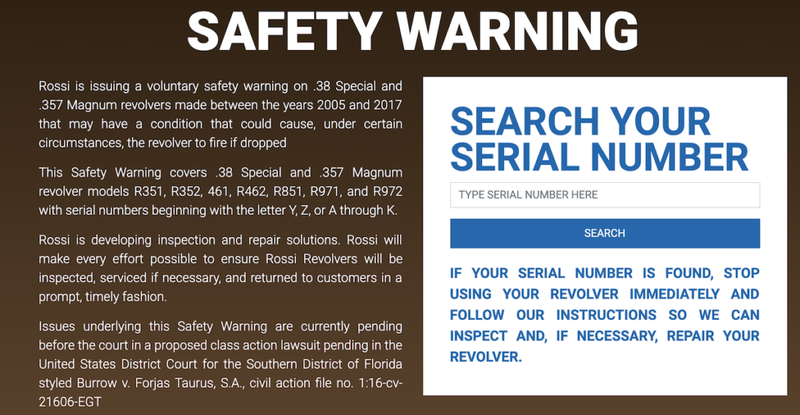 These revolvers have a serial number stamped on the frame beginning with the letters Y, Z, A, B, C, D, E, F, G, H, I, J, or K.
Along with getting their wheel guns cleared of the aforementioned safety concern, owners may also receive a $50 cash “Inconvenience Payment” per the settlement. Claims of personal injury are being filed separately. To learn more about how to file for the inconvenience payment or take advantage of the enhanced warranty visit www.RossiRevolverSettlement.com. The claim period for the $50 hasn’t opened yet as the settlement still needs to be finalized. A court date has been scheduled for August 27, 2019, for the final approval hearing. Owners will have one year to file for the $50 payment. But the enhanced warranty will continue in perpetuity. BREAKING: Bipartisan Gun Deal Reached!